Finish your projects faster and start your vacation earlier with the real-time analysis, search, and filtering functionality in all of the Beagle protocol analyzers. We're happy to offer special summer pricing on our entire line of Beagle protocol analyzers for USB, I2C, and SPI. The promotion starts today and ends on August 31, 2014. Visit the promotion page to get your coupon codes, so that you can choose your Beagle analyzer and then get your swimsuit ready; vacation starts soon! Discover helpful tips and tricks from the related blog posts section located on the right side of each of our main product pages. We publish about two blogs a week (which are taken from real inquiries from our support database) in our blog section, and relate the most recent posts on the appropriate product pages. For example, on the Aardvark adapter page, blog posts regarding the latest SPI memory devices supported, how the adapter handles clock-stretching, and other real-world questions are addressed. 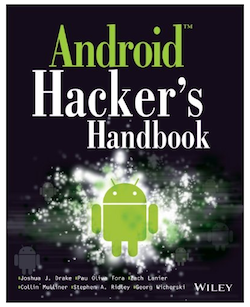 The Beagle I2C/SPI analyzer and Beagle USB analyzers was featured in a few chapters by Stephen A. Ridley, one of our customers, and one of the author's of Android Hacker's Handbook. The book talks about the popular platform and "presents vulnerability discovery, analysis, and exploitation tools for the good guys." Take a read and see how our tools are used in this exciting and growing space.